If you love essential oils, diffusers and natural remedies, you probably know how expensive can be. That's why it's important to save money while you can and why we put together this Saje Canada sale calendar. Saje Natural Wellness is known for Kate's Faves sale items, but there are plenty of other ways to score a deal in their stores and online. We broke down some of their biggest sale events, so you know when to shop (and how to save a little extra money year-round). Whether you're looking for a Saje promo code, upcoming sale dates or just a way to score free shipping, you might want to bookmark this page and check back often. That way, you can always score the best deals at Saje Canada! It's rare to see a Saje promo code. But when they do pop up, they're worth grabbing while they're still active. Sage sometimes releases promo codes via their newsletter, so you might as well subscribe! Every month of the year, Kate Ross LeBlanc (co-founder and CEO of Saje) releases a list of her top picks for the season, called Kate's Faves. This list typically consists of seven or so natural wellness products – and you can get them all for at least 15% off throughout the entire month. Okay, no matter when you shop at Saje, they'll always have something on sale in their Last Chance section. Here's where you'll find clearance items for anywhere from 20% to 40% off their regular prices – so all you need to do is shop before they're gone! One of the best things about any Saje Black Friday Sale is that it usually lasts for more than one day. In past years, we've seen Saje Natural Wellness offer 20% off absolutely everything all weekend long – from Black Friday all the way through to Cyber Monday. Last year, Saje gave us all 20% off sitewide for their Cyber Monday Sale, so here's hoping they do the same (or something even better) this year. No code is usually needed, so you can just head to their site, shop and score some really incredible deals – all without leaving your bed. Boxing Day is one of the best times of the year to score discounted beauty products, and the annual Saje Boxing Day Sale is no exception. Last year, they gave us 20% off absolutely everything, so I'm crossing my fingers for something similar (or maybe even better) in 2018. Saje Canada has not one but TWO sale sections – so the next time you shop online, you might as well head there first! Every month, Saje co-founder and CEO Kate Ross LeBlanc curates a list of Kate's Faves, a handful of different products you can score for 20% off all month long! Plus, the Saje Last Chance section is where you can find clearance items marked to anywhere from 20% to 40% off! One of the biggest perks of shopping for Saje products online is that you can sign up for scheduled delivery. 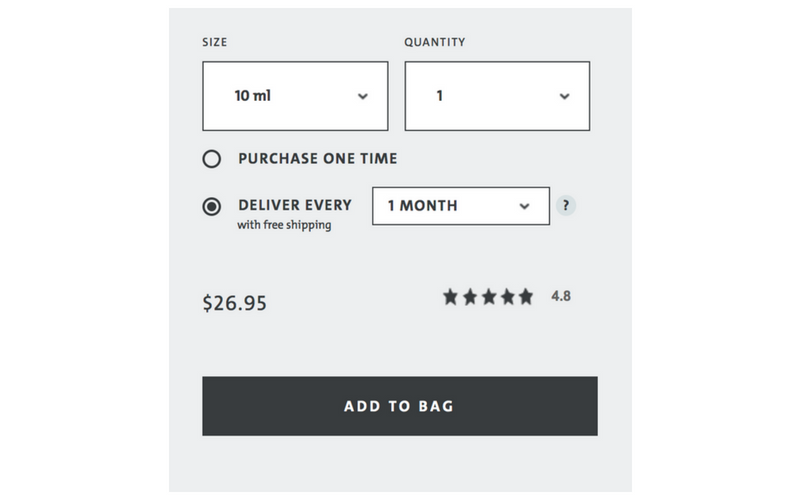 If there's anything you buy from Saje fairly regularly (for me, that's the Peppermint Halo Headache Remedy), you can just tick a box on the product page when you go to add it to your cart and schedule delivery for every one, two or three months! But the best part? Endless Essentials orders ship FREE! While we don't see them often, Saje occasionally releases coupon codes for free shipping or discounts on specific products. To make sure you don't miss one, sign up for their newsletter.